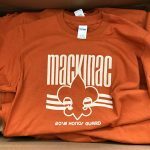 We now have the new application for the 2019 Mackinac Island Scout Service Camp. Please fill out the online form and make online payment. 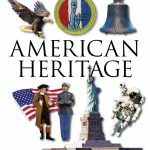 Mackinac Island Scout Service Camp deposit $100.00 is due now. Also all full payments are paid online. We have a paypal account through Nookaa Media (Patty's Account), if you have a paypal account you can use your account, and Nookaa Media paypal account also accepts Credit and Debt cards. 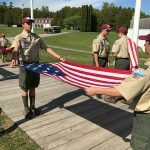 We will be attending the Mackinac Island Scout Service Camp at Fort Mackinac from June 1 to 8, 2019. You will be notified by email if accepted. 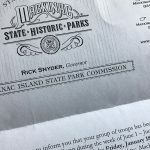 I hereby certify all information on the form is correct and that a copy of a Scout physical form will be completed and signed by a doctor prior to attending the Mackinac Island Scout Service Camp. The Scout promises to live by the Scout Oath and Law while at Mackinac Island. In cases of extreme misbehavior, the Scout will be fully responsible for the cost of return transportation. I understand that during the stay at camp there may be photos, voice recordings or video taken and I hereby consent to the use of my son's voice and/or photograph in the news coverage, camp or council promotional CD's or movies, on the council approved website or similar projects approved by this council and by the Boy Scouts of America. Please contact Scoutmaster Craig Woerpel with any questions you have in registering your scout at 906-280-0936 or by email.